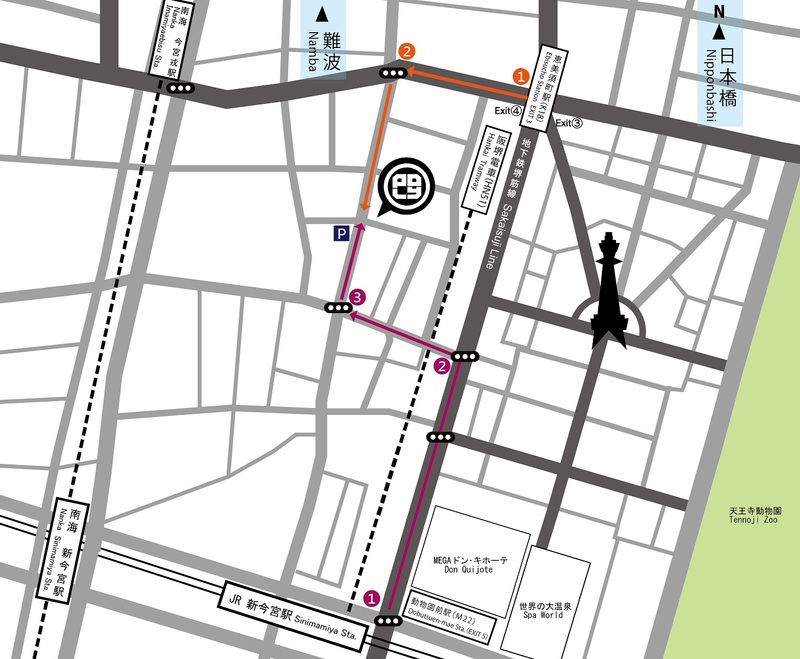 Please take No.4 exit on Ebisucho station, and go toward the front, you will find “Nakau(なか卯)” on your left side. Then turn to the left on the corner. Go straight about 130 meters, you will find our hostel on your left side. Please take East exit on JR-Shinimamiya station, and go straight to the left. Pass through “The Daiso(a hundred-yen store)”, then turn the corner of the second signal to the left. Go straight ahead a hundred meters, you will find a corner which has a postbox on your right side. Turn the corner to the right, and walk a hundred meters straight, you will find our hostel.